FOR SOME of the 2013 Lions squad, pulling on a red rugby shirt will be a new experience. This won’t be the case for 15 of the players and three of the coaching staff – all of whom are involved with the Wales squad. To have such a large representation from Wales is a real achievement for Welsh rugby. For a country with a senior male player base of just 12,000, compared to England’s 131,399 and Ireland’s 25,616 (IRB database), Wales has seriously over delivered with regards to representation in the Lions squad. Whilst the number of players derived from Wales is striking, the positional coverage that the 15 players provide is also noteworthy. For example England have a clutch of players in the front row; a reflection of their Test team’s core strength. Wales, however, have representation all over the field. In fact, barring outside-half, Wales have a player in every position on the team sheet. If Justin Tipuric could turn his hand to playing ten, which he probably could such is his skill-set, then Warren Gatland could field an entirely Welsh starting XV in Australia. 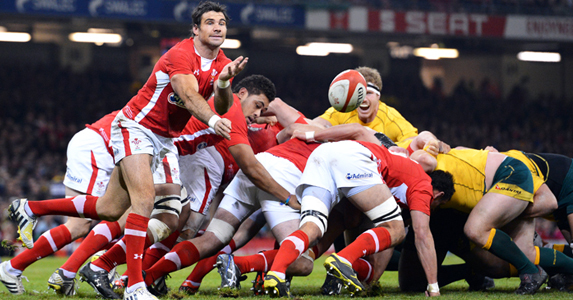 This Lions tour is a real feather in the cap for Welsh rugby – in fact, make that three feathers. Dan Lydiate’s inclusion in the Lions squad will undoubtedly have raised some eyebrows in Ireland, Scotland and England. Particularly in the Robshaw household where the raising of eyebrows will only have been matched by the raising of blood pressure. However, it is easy to see why Lydiate has been selected. Prior to his injury, Lydiate was the finest defensive forward in the northern hemisphere and arguably the world. He single-handily dictates where the tackle line is and his ultra-low technique has redefined the standard of defence expected from a back-row forward. Lydiate’s inclusion is also vital to Gatland’s game plan. Gatland’s back rows don’t operate as three players – they are one unit. The Lions head coach will want to play a genuine six, with a genuine seven, with a genuine eight – not three ‘six-and-a-halves’. 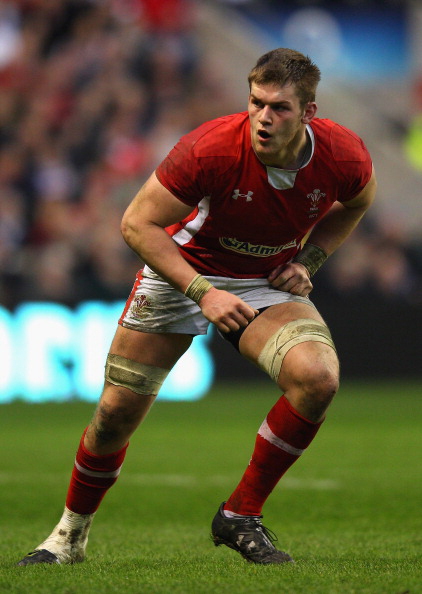 If Lydiate can attain match fitness, which he has time to do, Lydiate will be Gatland’s first-choice at six. It may seem impossible for a Lions tour to have any negative connotations, such is the splendour of this historic event. However, having 15 Welsh players and three of the coaching staff selected to represent the Lions magnifies the divide between Test rugby in Wales and the regional game. This year Wales have retained their RBS 6 Nations title and have now dominated the Lions selection, yet the regional game lies in ruin. Whilst the world was awaiting the big reveal at 11am on Tuesday, many in Wales were also keeping an eye out for an announcement from the WRU, the Professional Game Board or Regional Rugby Wales. Sadly no announcement has yet been made. But it had better come soon because if the long-term regional game in Wales isn’t fixed sharpish, Wales will be lucky to have any British & Irish Lions in 2025. 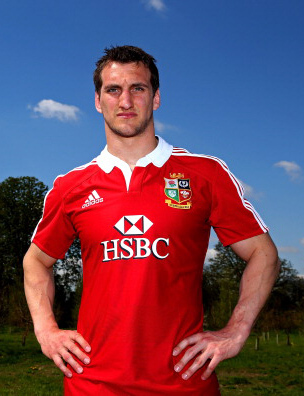 Sam Warburton deserves enormous credit for becoming a Lion and, in particular, for being named as captain. Six months ago, according to some, all of this seemed impossible. Both supporters and the media were gunning for Warburton and questioning whether he should have even been playing for Wales, let alone be captain of the Lions. During the first few weekends of this year’s Six Nations, Warburton was receiving a level of criticism that could severely dent the confidence and impair the performance of a weaker character. But it didn’t. Warburton’s performances towards the end of the Six Nations were exemplary. His display against England, playing out of position at blindside flanker, was particularly impressive. Some may still question Warburton’s role as captain, but if the past six months are anything to go by, he will have the answer. Everyone obviously gets carried away with how many players have been selected from their respective nation, but it’s all irrelevant now. The 37 Lions are no longer Welsh, Scottish, Irish or English – they are ours. The players of the home nations are no longer foes, they are friends. As far as I’m concerned Owen Farrell may as well have been born in Aberystwyth, Rob Kearney is from just outside Neath and Stuart Hogg hails from the Gwendraeth Valley. We will cheer them all as if they are our own. Come on the Lions!